Using the figurative language in adages as a warm-up exercise to get your students thinking—in any class. Each day in my high school Spanish classes, I ask the students to write a sentence that describes and explains, in their own words, a dicho, or adage. I display the Spanish and English versions of the dicho on the projector screen, as well as two images that give clues or suggestions for what it is trying to say. I also project sentence stems to make sure they write a complete sentence (“I think this means . . .,” for example). “Dr. Johnson, can I share what I wrote?” Desiree is waving her hand, trying to get my attention. “Yes, please share,” I say to her. It takes students a while to take the leap and connect being quiet with not getting flies in their mouths, or the irony of the blacksmith not being able to afford what he makes. After only a few weeks, most of the students get the hang of figuring out what the real meaning of each dicho is, and most of the students are excited about sharing their knowledge. 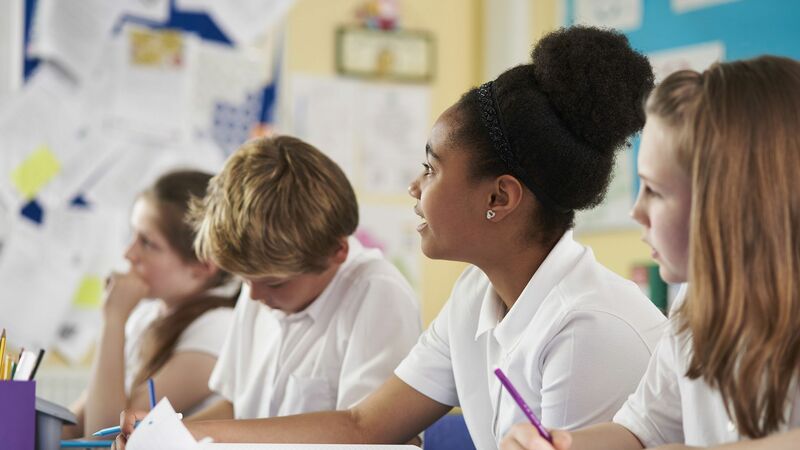 When it comes to taking students on a journey of thinking more deeply (as this exercise does), let’s consider three thinking skills: analytical, critical, and creative. The latter two are each an order of magnitude higher than the prior skill. This means that each thinking skill is more difficult than the prior skill, the most difficult being creative thinking or problem solving. Visual, nonlinguistic clues help the students understand the real meaning or application of the dicho. With the adage “Para el pobre, no hay pan duro,” (“For the poor, there is no hard bread”), I show a picture of a little boy who’s throwing a tantrum because his lollipop is not as big as his brother’s. Next is a picture of a man in rags who is ecstatic over finding a quarter. The students then have to figure it out by putting themselves in the shoes of the man in rags, or someone equally downtrodden, and try to understand why they never have hard bread. Students have shared, “A poor person is probably glad to have bread, even if it’s stale. Something is better than nothing. Maybe they have hard bread, but they don’t complain about it.” The students then will discuss the belief that, if you get something, you should be grateful for it and not complain about it. As many teachers know, it’s really the most wonderful feeling to see light bulbs collectively go on in a classroom. The way I have found this to work best is that the students need a composition book or binder. They have to write the dicho in its entirety every day and state what they think it means using complete sentences. A geometry teacher can ask students to write down and think about a quote from Pythagoras about geometry (for example, “There is geometry in the humming of the strings, there is music in the spacing of the spheres.”) Any words that are new, I would be sure to define and also include a couple images to assist with students’ understanding. History teachers might consider having students write down words and phrases from U.S. political cartoons or satires. Be sure to add background information the students may need to understand the criticism. The cartoons themselves serve as valuable visual clues to the meaning. As students write down the words, they will begin to recognize some of the new vocabulary. This is not a copying exercise; it is a thinking one—to receive benefit from the adage, students must insert their own thoughts into their writing. The true power of this warm-up is getting them to dig deeper and come up with their own thinking and ideas.